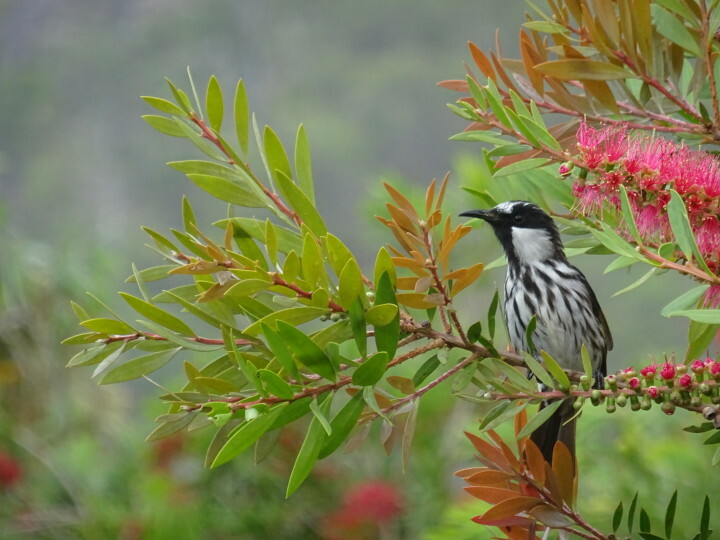 Very happy with this shot of the White-cheeked Honeyeater at the back of the house. They are so quick it is difficult to get a close-up that is not blurry. They come in their masses to feed on the callistemons and grevilleas which are currently covered in a profusion of flowers. Some recent rain has been very welcome to our feathered friends evident in the even noisier dawn chorus each morning. No need for alarm clocks up here! Birdweek is coming up from 19 October to 25 October. Sweetwater Lodge’s private Tablelands accommodation in Julatten is the perfect base for any keen bird-watchers keen to see/photograph our huge variety of birds.